As your little mini-me grows inside of you, it is very important that you provide them the nutrients they need. Eating healthy is great, but taking prenatal vitamins will help ensure that you are getting the proper recommended daily dose of vitamins and minerals. Receiving the appropriate amount of vitamins and minerals will reduce the risk of problems arising during your pregnancy or in your child’s development. Prenatals come in all shapes, textures, sizes and full of different ingredients. Shop from our list of the Best Prenatal vitamins to help make your decision on what to buy easier. With prenatal vitamins being highly important to the health of your developing, we took researching and updating this piece very seriously. We have recently removed any products that were out of stock and replaced them with products that are well reviewed and available. 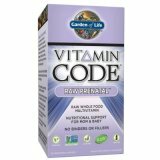 Garden of Life Vitamin Code Prenatal Supplement is designed to support the health and development of both the mom-to-be and baby. You take three capsules per day, and you can take them all at once or throughout the day. 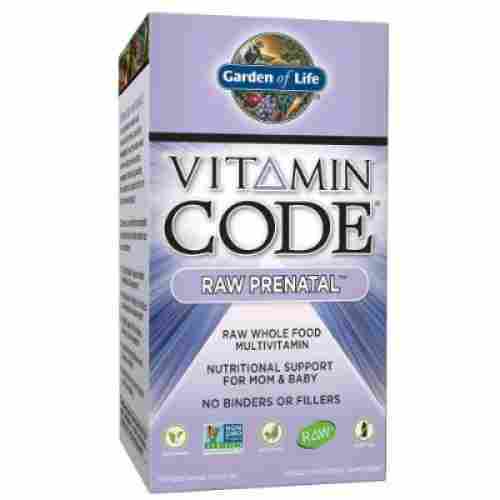 Garden of Life Vitamin Code Prenatal Supplement provides mom-to-be with essential nutrients for health and well-being during pregnancy. The supplement includes folate, which is vital for the baby’s neural tube development. The supplements are vegetarian, gluten-free, and dairy-free, and contain ginger and probiotics to make them easier to digest. There is nothing artificial about these supplements; they are made from whole foods and support a healthy lifestyle for mom and baby. The vitamins are sourced from a blend of 23 fruits and vegetables. 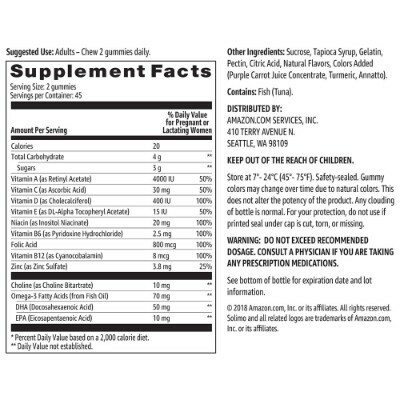 The multivitamin includes iron, vitamin C, E, and B-complex along with folate. They also include ginger and probiotics to make them easier to digest. The vitamins are dairy-free, gluten-free, and don’t have any binders or fillers. You can take the capsules with water or fruit juice, and you can even open the capsules and mix the powder with your drink if swallowing a pill is too difficult. Supplements are essential to support the mother-to-be’s health, as well as ensuring the baby has everything he needs to thrive. This vitamin does that with real food ingredients, making it a perfect fit for a healthy lifestyle before, during, and after pregnancy. 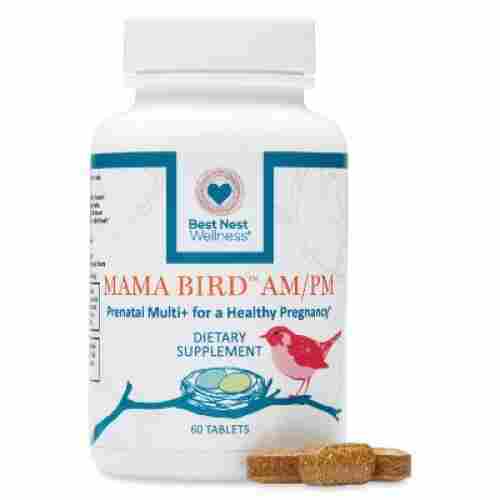 Mama Bird AM/PM Prenatal Multivitamin is an all-natural, vegan supplement. They only use methylated vitamins: methylfolate, which is the natural form of folic acid, methylcobalamin, which is the natural form of B12, and pyridoxal-5-phosphate, which is natural B6. 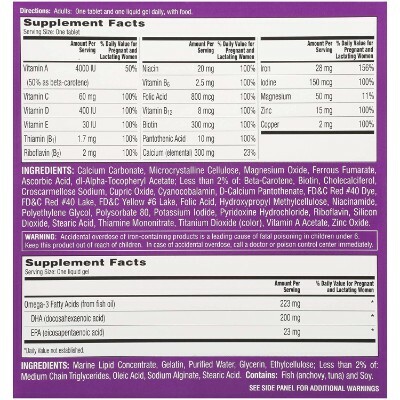 Methylated vitamins are the active forms of vitamins, so your body can utilize the vitamins fully, maximizing each dose. 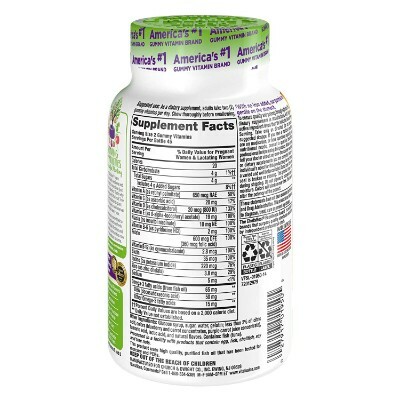 Mama Bird AM/PM Prenatal Multivitamin utilizes the natural forms of vitamins, which can be better utilized by your body. It’s vegan, so no animal products are used. All the ingredients are natural and organic, helping you maintain a healthy lifestyle. There are no nuts or dairy, which are common allergens. The Mama Bird AM/PM Prenatal Multivitamin also includes digestive enzymes and probiotics to make it easier to digest, which is an important consideration if you’re experiencing morning sickness. The Mama Bird AM/PM Prenatal Multivitamin has no soy, yeast, fish, artificial colors or flavors, nuts, or dairy. It’s a pure, natural blend that’s taken twice per day. The multivitamins are made in the USA. This multivitamin also includes an organic herbal blend of chamomile, red raspberry leaf, and ginger, along with digestive enzymes and probiotics to ease digestion, which is an important consideration if you’re experiencing morning sickness. It includes folate, which is vital to your baby’s development, and it’s suitable for mothers who have MTHFR. Zahler Prenatal Vitamins include 25 different vitamins and nutrients along with DHA, which is an omega-3 fatty acid. DHA is important to the development of your baby’s eyes and the nervous system. It also includes lutein, which helps your baby’s eyes develop, and vitamin D, which helps boost your immune system. Zahler Prenatal Vitamins also include chromium, which helps to regulate glucose, and folate, which is vital for baby’s neural development. 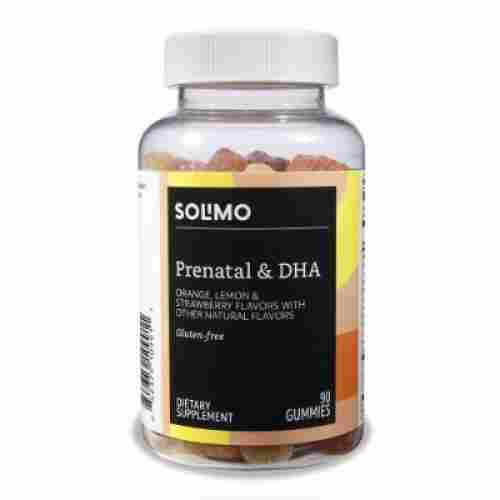 Zahler Prenatal Vitamins include DHA, a vital supplement for baby’s development. DHA is an omega-3 fatty acid, and it helps your baby’s eyes and brain fully develop. The vitamins also include quatrofolate, which is an authentic form of folic acid and easier for your body to absorb. 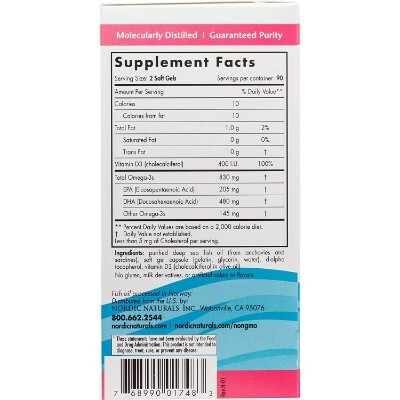 The vitamins are in a soft gel, which is easy to swallow and leaves no lingering aftertaste. It includes a total of 25 vitamins and minerals, including vitamins A, C, D, B12, and E, which help keep you energized, and iron, which helps create the extra blood needed during pregnancy. The vitamin is in a soft gel, which makes it easy to swallow and ensures no bad aftertaste. Zahler has the ingredients independently tested for purity to ensure you’re receiving the best quality vitamin possible. It’s a balanced vitamin that’s designed for optimal absorption, so your body can fully utilize the nutrients. You should take this vitamin with food to minimize the possibility of nausea. Taking your vitamins no longer has to feel like a chore. The vitafusion gummy vitamins has natural fruit flavors that customers love. That naturally delicious flavor comes from not having any artificial sweeteners or flavors added to the gummy. You won’t have to worry about these yummy gummies adding to your nausea as they do not contain iron. In fact, in 2018 these gummies won the Chef’s Best Excellence award for its high-quality ingredients and taste. Each gummy is loaded with essential minerals and vitamins needed for women who are pregnant and lactating. With each serving, you will receive 100% DV folic acid, 50 mg Omega-3’s, and a large number of vitamins A-E. Each bottle contains 90 gummies. With two gummies equaling one serving, you will have enough for 45 servings. Forty-five servings for under ten dollars is deal you just can’t beat. The gummy texture is easy to chew and eliminates the process of trying to swallow a giant pill. 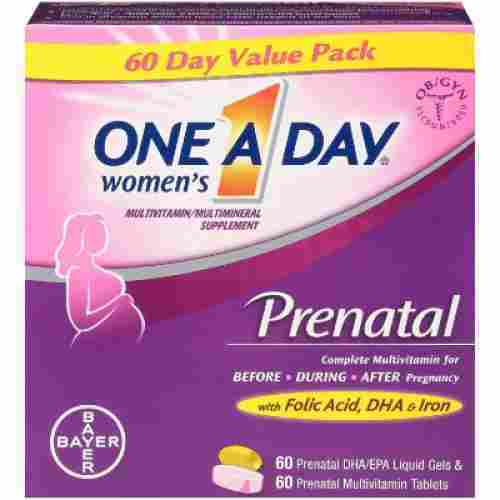 One A Day Women’s Prenatal Vitamins include a multivitamin and a liquid gel with DHA and EHA. The multivitamin includes 100% of the recommended daily allowance of folic acid, which is vital to fetal brain development. It also includes 28 mg of iron, which is 156% of the recommended daily amount of iron. Iron supports creating the extra blood needed for your baby and helps carry oxygen to the baby The DHA and EHA liquid gels help support your baby’s eye and brain development. 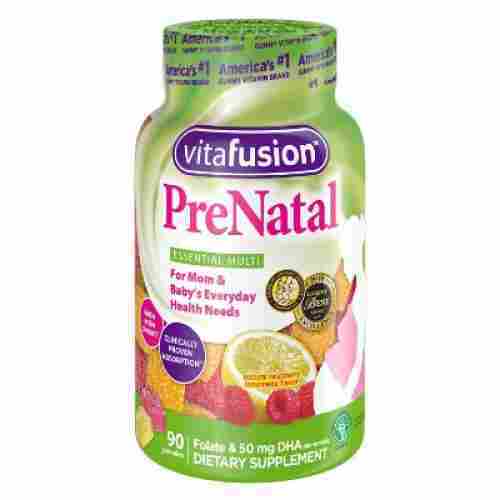 One A Day Women’s Prenatal Vitamins give you 100% of multiple important vitamins your body needs during pregnancy. This includes folic acid, which is vital for the neural development of your baby. The iron helps with carrying oxygen to your baby, as well as prepare your body for potential blood loss during birth. It has 50% of the recommended daily allowance of vitamin A, and 100% of the recommended daily allowance of vitamin C, vitamin D, vitamin E, thiamin, riboflavin, niacin, vitamin B6, vitamin B12, biotin, iodine, and pantothenic acid. Iodine is also critical to the healthy development of your baby, helping his brain fully develop. Vitamin C helps keep your immune system working at its peak during this important developmental time. The DHA and EHA help regulate your mood as well as help your baby’s visual and neural development. If you’re a fan of the flavors orange, strawberry, or lemon you will love the Solimo Prenatal Vitamins. These gluten-free gummies come in a bottle of 90, which equals out to 45 servings or a month and a half supply. With each serving, you will receive an appropriate dose of folic acid, vitamins A-E, and Omega 3’s. The combination of the ingredients, sweet taste, and soft texture makes these gummies gentle on the stomach of pregnant women. The formula does contain fish, however, the natural fruity flavors eliminate any fishy taste or smell. These gummies are gluten-free and contain no wheat, egg, dairy, or soy which makes them great for women with food allergies. The screw on lid will keep all of the gummies secured inside the bottle, thus making it easy for you to transport them in your purse or car. The clear packaging gives you the opportunity to see exactly what is inside your bottle. Furthermore, it will help remind you of when it is time to restock. Smartypants Prenatal Complete Gummy Vitamins are a tasty way to get the essential vitamins you need to support your pregnancy. You should take six gummies per day, and the gummies can be taken with or without food, making them a flexible addition to your day. Smartypants Prenatal Complete Gummy Vitamins include several vitamins and minerals that are essential for your baby’s development as well as sustaining your health and well being. The gummies include DHA and EHA, which help your baby’s brain development. It also includes methylfolate, which is the natural form of folic acid and helps supports the development of your baby’s DNA. The gummies also have no synthetic colors, no artificial flavors, no artificial sweeteners, and no preservatives. Smartypants Prenatal Complete Gummy Vitamins are also free from gluten, soy, and dairy, making them a great choice if you have allergies. The gummies include DHA/EHA, folate, iodine, vitamin D, and vitamin B12. The gummies come in three flavors: lemon, orange, and strawberry banana. The gummies also have the recommended value of iodine, which assists in nervous system development. Smartypants Prenatal Complete Gummy Vitamins also includes vitamin D, which helps boost and maintain your immune system, and vitamin B12, which supports your energy and focus. 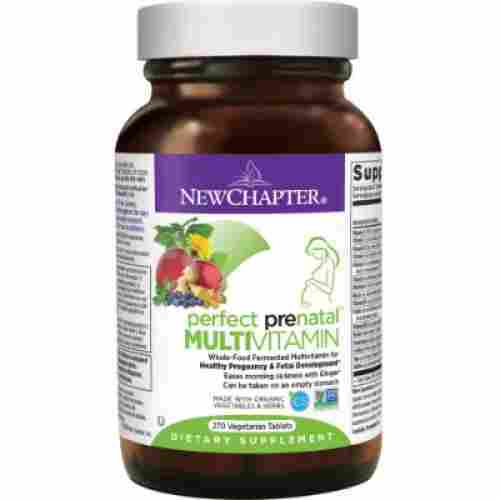 The New Chapter Prenatal Vitamins provided the nourishment you need for your body and your growing baby. These vitamins are loaded with Folate, Iron, and vitamin D3. These vitamins are easy to digest and can be taken at any time during the day as they are gentle on an empty stomach. The iron will aid in transporting oxygen to your baby while the folate will aid in the development of your baby’s brain and spinal cord. Along with being organic, these vitamins are non-GMO project verified, kosher, gluten-free, and vegetarian. Composed of natural whole-food ingredients like kale, cauliflower, and broccoli these vitamins are completely organic and have no added sugar. The natural whole-foods gives these pills an earthy smell that will not upset your stomach. With these vitamins being non-GMO project verified, you can consume these with the reassurance that the ingredients are completely organic and have not been genetically modified in any way. 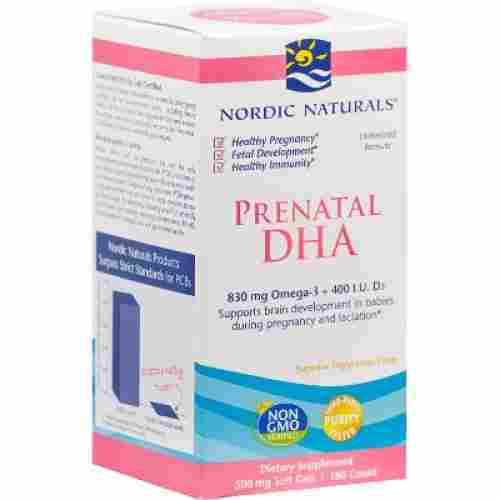 Nordic Naturals Prenatal DHA has more than just DHA. It contains DHA, EHA, and other omega-3s. Omega-3s are fatty acids, and they help with regulating your blood pressure and mood. DHA is particularly important. It helps with the brain and eye development of your baby, and research has shown that babies born to mothers with a high level of DHA in their system had an advanced attention span for the first two years of life. Increasing your intake of DHA and EHA may also prevent early labor, increase birth weight, lower the risk of postpartum depression, and prevent preeclampsia. Not only do these vitamins contain DHA but they also contain EHA, which are both necessary for the healthy development of your baby’s brain and eyes. Its soft-gel composition makes it easy to swallow and digest.
. Omega-3s have also been shown to help with balancing mood, which is important during and after pregnancy. Nordic Naturals ensures the quality of their fish oils by having each batch tested by a third party lab for purity. 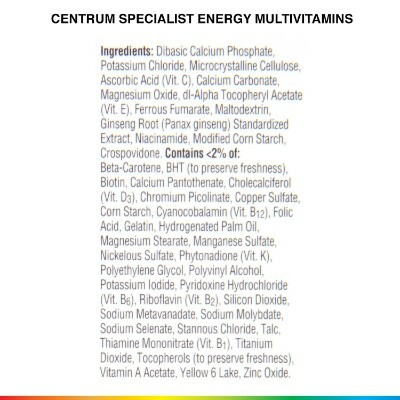 Centrum Specialist Prenatal provides several vitamins and minerals that support both your health and that of your baby. The folic acid ensures the proper neural development of your baby. It also includes the full recommended daily allowance of vitamin D, and 150% of the recommended allowance of vitamin C. Centrum Specialist Prenatal does need to be taken with food to prevent nausea.
. It also includes 100% of your recommended daily allowance of vitamin D, which helps you absorb calcium, which in turn helps with the development of your baby’s teeth and bones. Though prenatal vitamins vary in composition, every prenatal listed includes folic acid. Folic acid is critical to ensuring your baby’s brain and spinal cord develop properly. Many of the prenatal vitamins include DHA, either as part of their blend or as a stand-alone supplement. DHA is an omega-3 fatty acid that helps you manage stress. DHA also helps your baby’s eyes and brain develop. Most prenatal vitamins also include vitamin A. Vitamin A helps your baby develop healthy lungs, kidneys, eyes, and bones and assists with the development of your baby’s circulatory and central nervous systems. Vitamin A also helps you with postpartum tissue repair, and it supports your immune system. Vitamin C is also in most prenatal vitamins. Vitamin C helps you absorb iron, which in turn helps you create the new blood needed for your baby. Vitamin C is also essential to making collagen, which is a part of cartilage, tendons, skin, and bones. Vitamin C also helps you fight off infections. There are a number of vitamins and minerals that are essential to having a healthy baby. In evaluating prenatal vitamins for this list, the best prenatal vitamins needed to include those important vitamins and minerals. The best prenatal vitamins also take food sensitivities into consideration, typically leaving out allergens such as gluten and dairy. We also considered the amount of testing the manufacturers do on the multivitamins to ensure product safety and purity. Finally, we considered ease of use, and whether the vitamins could readily fit into your daily routine without complicating your life. Iron is included in many of the multivitamins. Iron helps to create hemoglobin, which transports oxygen to the cells in your body, including to your baby. Iron can be poisonous to children under 6, though, so gummy vitamins, which could appeal to children, do not contain iron. Most multivitamins also include vitamin A, which supports your immune system as well as helping your baby’s eyes, lungs, heart, and central nervous system development, and vitamin C, which helps boost your immune system and keeps you healthy. Many mothers-to-be experience food sensitivities during pregnancy. Many of the multivitamins on the list are soft gels, which are coated to make them easier to swallow and to minimize any taste or smell. Vitamins are not regulated by the FDA, so it’s critical for vitamin manufacturers to include rigorous testing to ensure a safe, high-quality product. Some of the vitamin manufacturers on this list do rigorous in-house testing at every step of production, while others have a third-party test their products for quality and purity. 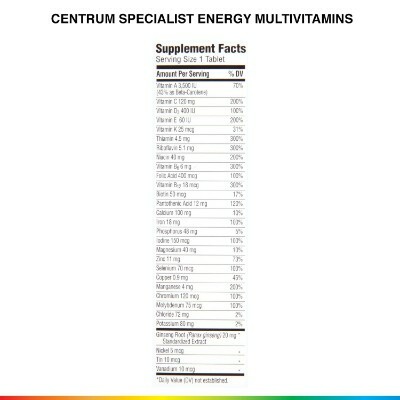 The multivitamins on this list are held to high standards, ensuring that their products are pure and safe. The most important factor in evaluating prenatal vitamins is the ingredients. All the included multivitamins have folic acid, which helps ensure that your baby’s spinal cord and brain fully develop. Folic acid is especially important during the first trimester, so if you’re thinking about having a baby, you can benefit from a multivitamin that includes folic acid. Many of the prenatal vitamins on the list include DHA. DHA is an omega-3 fatty acid that provides benefits for you and your baby, including helping regulate your mood and helping your baby’s brain fully develop. Gummy vitamins actually taste good, making them an appealing option. Most of the vitamins on the list are gluten-free and dairy-free, both of which are common allergens. Some of the vitamins also include ingredients specifically to help ease digestion, such as ginger. There are vegan and vegetarian options as well if you avoid or are sensitive to meat products. Finally, we know no multivitamin is going to work if you don’t take it. 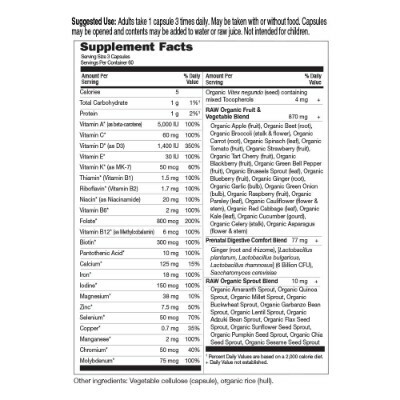 The multivitamins on this list vary in terms of dosage. Many can be taken with or without food, making incorporating them into your day simple. Some only need to be taken once per day, which also keeps things uncomplicated. Tablets and capsules can even be ground or mixed with a smoothie or water to make taking them easier to take, even if you are experiencing sensitivities. There’s a multivitamin to fit your lifestyle and preferences. q: Are the vitamins FDA-approved? Vitamins are considered dietary supplements by the Food and Drug Administration, or FDA. The FDA does not review dietary supplements for safety and effectiveness in the same way that it regulates prescription medications. Vitamin manufacturers are required, though, to produce dietary supplements in a quality manner, ensure the products have no contaminants and are properly labeled. If someone experiences an adverse event after taking a dietary supplement, the manufacturer is required to report it to the FDA, and the FDA can remove dietary supplements from the market if they are unsafe or are making misleading claims. q: Are the vitamins vegan or vegetarian? Several of the vitamins listed are vegan or vegetarian. The vegetarian options are Garden of Life Vitamin Code Prenatal Supplement and Conception Fertility Prenatal Vitamins. The vegan options is Mama Bird AM/PM Prenatal Multivitamin. q: Are the vitamins organic? A few of the vitamins on the list are organic. 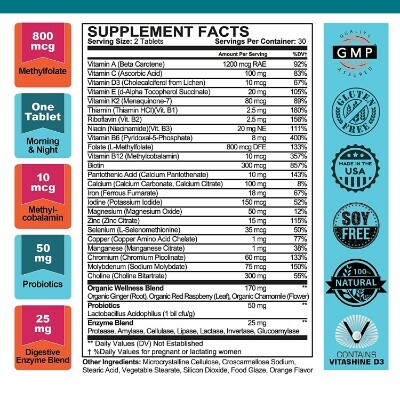 The organic options are Mama Bird AM/PM Prenatal Multivitamin and New Chapter Perfect Prenatal Vitamins. q: Do the vitamins smell or taste bad? Unfortunately, smell and taste are subjective, so some might find one vitamin tolerable, while others might find it has a smell or aftertaste that’s difficult to tolerate. Some vitamins do come in a soft-gel form, which typically minimizes potential smells and aftertaste. Soft gels containing fish oil may have a fishy aftertaste, though. Soft gels that do not have fish oil include Mama Bird AM/PM Prenatal Multivitamin, Zahler Prenatal Vitamins, and Conception Fertility Prenatal Vitamins. q: Do the vitamins include DHA? DHA is an important omega-3 fatty acid. It’s typically found in fish. DHA can be included in a multivitamin or offered as a stand-alone supplement. Multivitamins that include DHA into one pill or tablet are Zahler Prenatal Vitamins, Smartypants Prenatal Complete Gummy Vitamins, One A Day Women’s Prenatal 1, and Nature Made Prenatal + DHA. 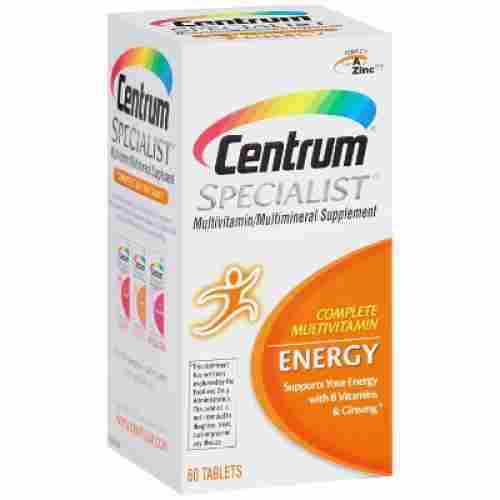 Centrum Specialist Prenatal and One A Day Women’s Prenatal Vitamins include a separate DHA supplement that’s included when you purchase your vitamins. The standalone DHA supplement listed is Nordic Naturals Prenatal DHA. q: Are the vitamins tested by an independent third party? 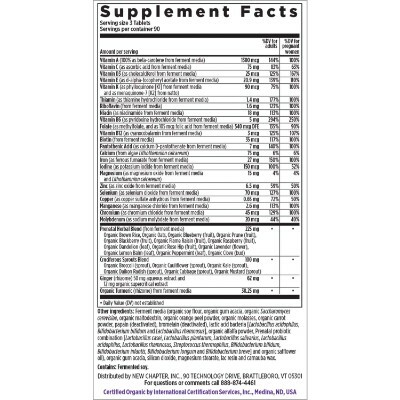 Some of the vitamins listed are tested by an independent third party. Nature Made vitamins are tested by USP, an independent organization. Zahler Prenatal Vitamins and Nordic Naturals Prenatal DHA are also tested by a third party for quality and purity.